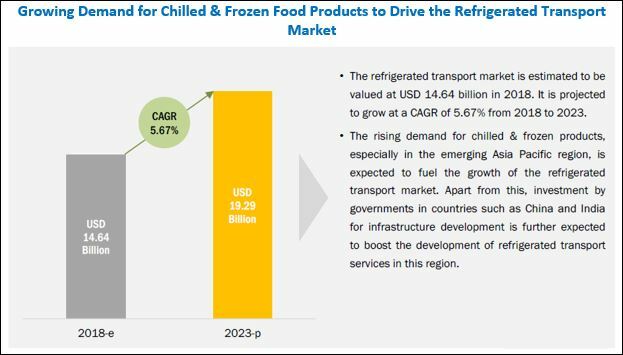 [237 Pages Report] The refrigerated transport market was valued at USD 13.93 billion in 2017 and is projected to reach USD 19.29 billion by 2023, growing at a CAGR of 5.67% during the forecast period. The market is driven by factors such as increased trading due to globalization and growing trend of purchasing chilled and frozen food products especially in the emerging countries of Asia Pacific, South America, and the Middle East. Apart from this, government initiatives in the developing countries for infrastructure and logistics development are further gaining interests of the local players to expand their services. The research methodology used to estimate and forecast the refrigerated transport market begins with capturing data on key players and their revenues through secondary sources, such as International Frozen Food Association, American Frozen Food Institute, British Frozen Food Federation, USDA, and Global Cold Chain Alliance. The overall market size was arrived after validating with primary interviews and secondary research which includes publications and statistics. Both “top-down” and “bottom-up” approaches were used to estimate and validate the total size of the market. 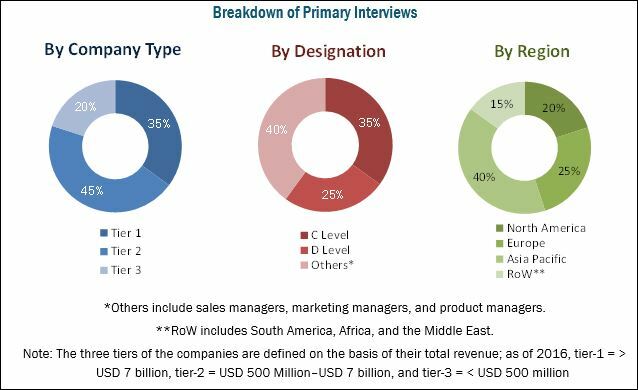 These approaches were also used extensively to estimate the market size of various dependent submarkets in the overall refrigerated transport market, which are further verified through primary research by conducting extensive interviews with key people, such as CEOs, VPs, directors, and executives. Data triangulation and market breakdown procedures were employed to complete the overall market engineering process and arrive at the exact statistics for all segments and subsegments. 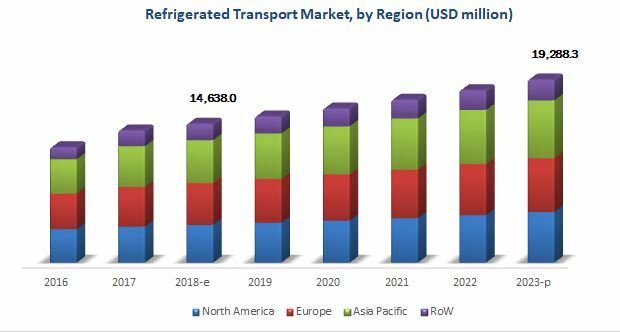 The key players in the refrigerated transport market include service provider companies, such as United Technologies (US), Daikin Industries (Japan), Ingersoll-Rand (Ireland), China International Marine Containers (China), and Utility Trailer (US). Other key players include Singamas Container (China), Hyundai (South Korea), Schmitz Cargobull (Germany), Fahrzeugwerk Bernard Krone (Germany), and Lamberet (France). Further, the breakdown of the Rest of Asia Pacific refrigerated transport market into Indonesia, Malaysia, the Philippines, Thailand, and Vietnam. Further, the breakdown of the RoW refrigerated transport market into South Africa, Brazil, Argentina, and the Middle Eastern countries.